A reminder that this coming Monday is the last Monday of the month and therefore May's Musical Monday. 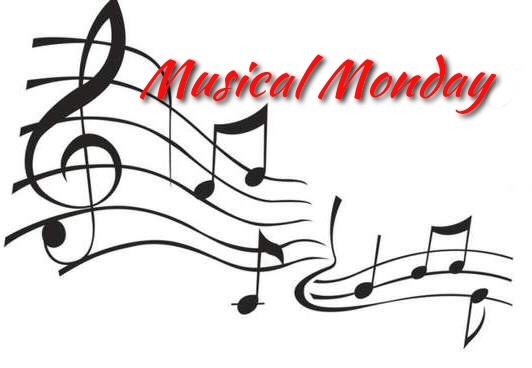 1 pm to 2:30 pm - Running with Zithers Ensemble rehearsal - this ensemble is a group of Zither & Autoharp players who, with a percussionist, challenge their music-making to play and harmonize in a group. Ensemble membership asks for commitment to attend rehearsals, a sense of fun and an annual membership fee of $10 to cover the cost of sheet-music. 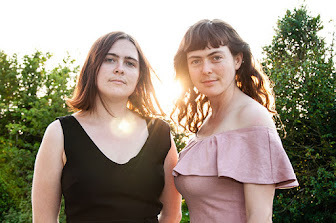 Please note - the Running with Zithers Ensemble rehearsals are not open-to-all music lessons, they are genuine rehearsals for instrumentalists working toward performance and/or recording. If you would like to try out playing with this ensemble. 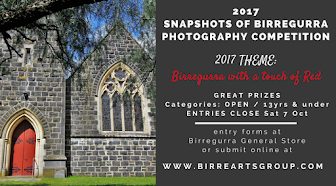 “While on school holidays I took the opportunity to visit Birregurra's newly formed painting group. How lovely to find a small group quietly enjoying, exploring & sharing their love of painting. As founding members Sophia & Barry worked (or played!) away, the group's 'leader' Natalie introduced me & explained the ethos of the group. 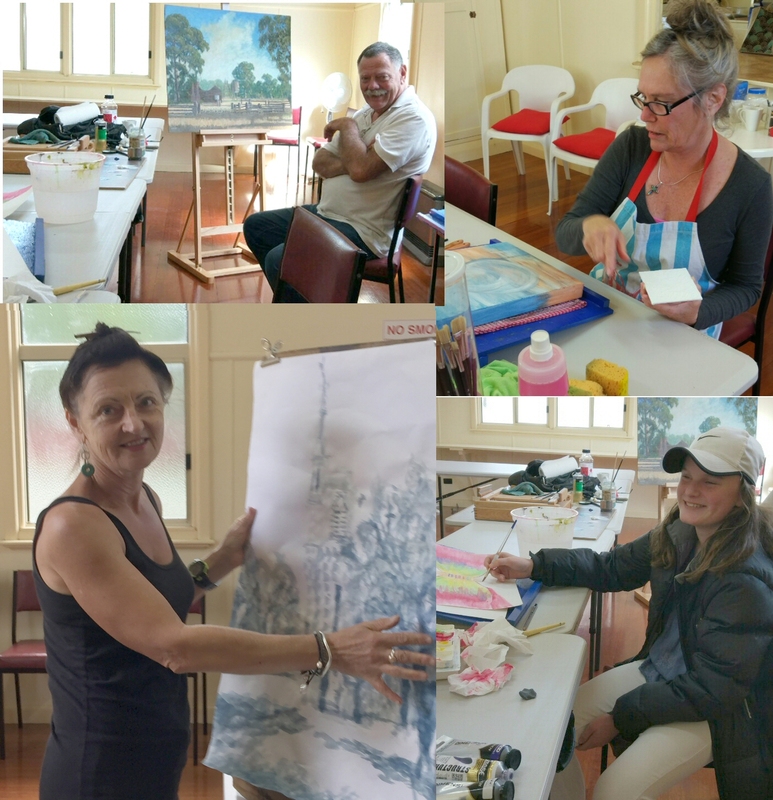 "I just wanted to paint with other people so I thought I'd start a group to see if anyone else wanted to as well. No pressure to work in any particular medium or way. I just wanted to be painting with others." Barry & Sophia expressed how grateful they were that Natalie did! Shortly after Deb left, Maggie arrived to work on her impressive ink study of the Church and this week Alison continued with her beautiful landscape while Chris worked on putting some finishing touches on her very entertaining journals. Whilst small, our painting group enjoys a variety of talents as well as many laughs and occasional personal concerns which all members treat with respect and care. 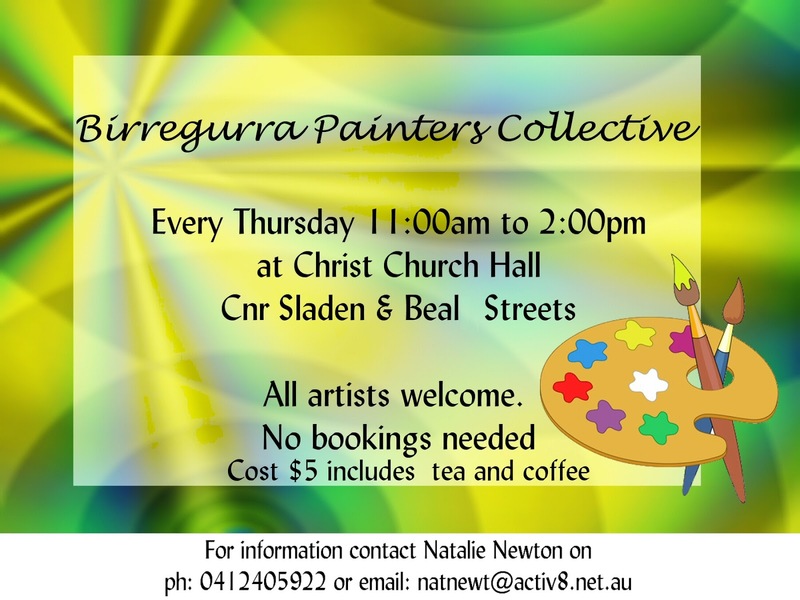 The Birregurra Painting group meets every Thursday at the Anglican Church hall from 11am - 2pm. BYO your painting gear. Tea & coffee provided.